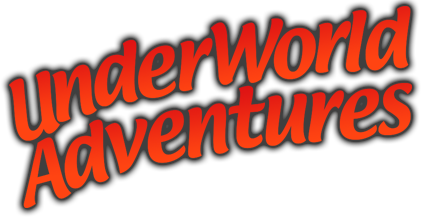 Underworld Adventure Ltd (we, us, our) complies with the New Zealand Privacy Act 1993 (the Act) and the interpretation of the policy and its operation is governed solely by New Zealand law. According to this personal data is information about an identifiable individual (a natural person). It includes, without limit, name, address details, and personal preferences. Contact Details includes address, telephone numbers and email address. Payment Details includes payment card details. Booking Details includes details of your previous bookings with us, payments to and from you and other details of products and services you have purchased from us. Website Usage Details includes internet protocol (IP) address, your login data, browser type and version, time zone setting and location, browser plug-in types and versions, operating system and platform and other technology on the devices you use to access our website. Location Details includes location information obtained from smartphones, tablets or other devices that monitor your current and previous geographic locations. Profile Details includes purchases or orders made by you, your interests, preferences, feedback and survey responses. Usage Details includes information about how you use our website, products and services. Marketing and Communications Details includes your preferences in receiving marketing from us and our third parties and your communication preferences. Medical Details includes information about past and current medical conditions that could be relevant for the trip you are undertaking. We use parts of the above to collect, create and use statistical or demographic data, which is aggregated. In this aggregated form the information can’t be linked back to you. In any stage of interacting with us you are not required to provide any of the above personal data. However this may result in us not being able to process your enquiry, perform a contract with you or take you on one of our trips. Direct interaction with you, when you provide that personal information to us, including via our website and any related service, through any registration or subscription process, through any contact with us (e.g. telephone call or email), through surveys, or when you buy or use our services and products. Third parties (such as a travel agent) where you have authorised this or the information is publicly available. Cookies (an alphanumeric identifier that we may transfer to your computer’s hard drive so that we can recognise your browser), when you use our website. When possible, we will collect personal information from you directly. We will use your personal data when the law allows us to and for the purposes set out below. We internally aggregate part of your personal data to improve our marketing and derive insights from statistical analysis. In this case you won’t receive any communication from us and the insights can’t be linked back to you. You will only receive marketing communications from us if you have consented us to receiving this information. In this case we will use your personal data to keep you up to date with the latest news, events, special offers and promotions. We may display photos taken by us of you to see on third party websites, including social media sites. In this case your social media profile won’t be linked with the photo. We may use parts of your personal details, contact details or other information you have shared with us in conjunction with the photo. We will only do this if you have consented us to use your photos and the information in such a way. We may have to share your personal data with the parties listed below for one of the purposes given above. Any party that is involved in the response to an incident or accident. This includes but is not limited to Police, Land Search and Rescue, Ambulance Service, Medical Institutions (such as Hospitals), WorkSafeNZ and the ACC Authority. We will take reasonable steps to keep your personal data safe from loss, unauthorised activity, or other misuse. Only the part of your personal data that is relevant to perform their role and duties will be shared with our employees. Our employees will only process your personal data according to our instructions and under the premise of confidentiality. We have installed reasonable security measures to prevent that your personal data can be accessed, used, altered or shared in an unauthorised way or from any unauthorised party. We will only store your personal data for as long as necessary to fulfil the purposes we collected it for, including for the purposes of satisfying any legal, accounting or reporting requirements. To determine the appropriate storage period for personal data, we consider the amount, nature, and sensitivity of the personal data, the potential risk of harm from unauthorised use or disclosure of your personal data and the purposes for which we process your personal data. Subject to certain grounds for refusal set out in the Act, you have the right to access or have erased your readily retrievable personal data that we hold and to request a correction to your personal data. Before you exercise this right, we will need evidence to confirm that you are the individual to whom the personal data relates. In respect of a request for correction, if we think the correction is reasonable and we are reasonably able to change the personal data, we will make the correction. If we do not make the correction, we will take reasonable steps to note on the personal data that you requested the correction. If you want to exercise either of the above rights, email us at contact@caverafting.com. Your email should provide evidence of who you are and set out the details of your request (e.g. the personal data, or the correction, that you are requesting). Usually there is no fee charged for any of the above serviced but we may charge you our reasonable costs of providing to you copies of your personal data or correcting that data. While we take reasonable steps to maintain secure internet connections, if you provide us with personal data over the internet, the provision of that data is at your own risk. If you post your personal data on our website, a third party website or any of our social media pages, you acknowledge and agree that the data you post is publicly available. If you are an EU citizen and feel that your personal data has been treated in a way that does not comply with the GDPR, you can lodge a complaint with the relevant supervisory authority in your country. We would appreciate if you would approach us directly before approaching a supervisory authority. 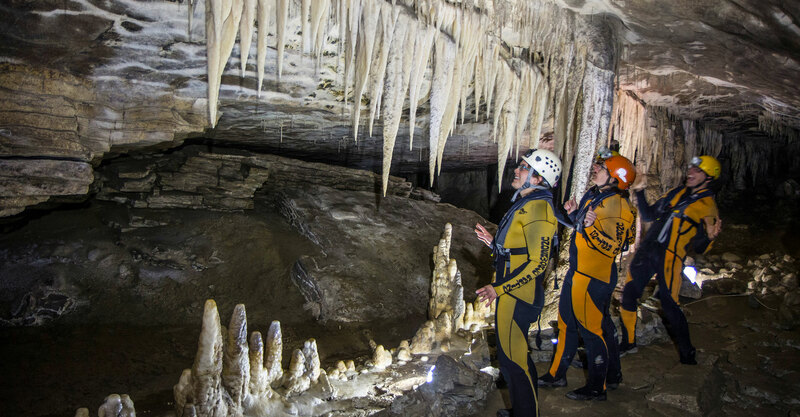 Trips mean Glowworm Cave Tour, Underworld Rafting, Venturer Cave Adventure or Adventure Caving.